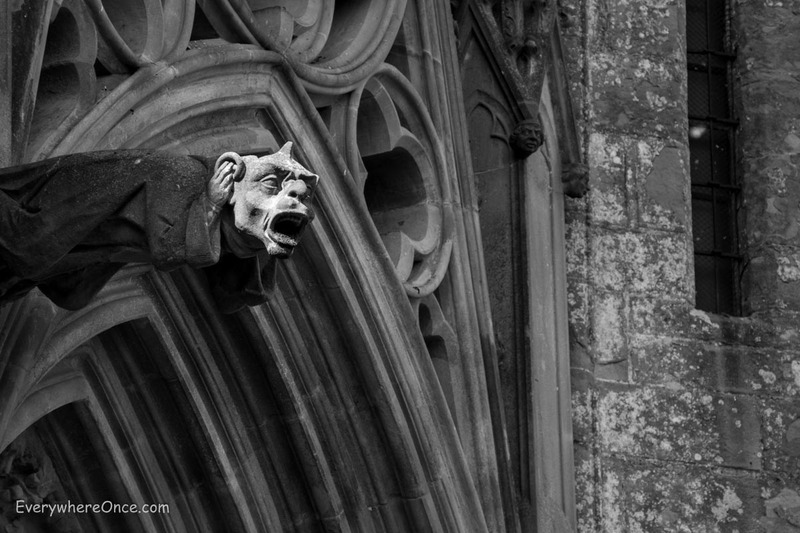 I’ve always wondered what significance gargoyles have in Christian mythology … great pic! I believe gargoyles serve the same function as do stained glass windows. In the early days of the church most people were illiterate and so pictures and sculptures were used to convey messages. Inside the church, stained glass tells biblical stories. Outside the church, demons lurk everywhere.